Professor Scott Lucas has said that Dr Christine Blasey Ford, who has testified she was sexually assaulted by US Supreme Court nominee Brett Kavanaugh, is making “a bigger difference” and making a contribution “far beyond one Supreme Court choice”. Professor Lucas told talkRADIO’s Eamonn Holmes: “For the moment, you have got a woman who is making a difference, not only in the context of these hearings, we will see if he is confirmed. “She is making a bigger difference and that is in the context of the #metoo movement and change in American society. “The belief that women can come forward and be respected at any time, and be heard. “That you should not have to wait 35 years. Brett Kavanaugh denied allegations that he sexually assaulted Christine Blasey Ford when both were high school students and angrily told Congress that Democrats were engaged in "a calculated and orchestrated political hit". In her own testimony, Ms Ford told the same Senate Judiciary Committee that she was "100%" certain a drunken young Mr Kavanaugh had pinned her to a bed, tried to remove her clothes and clapped a hand over her mouth as she tried to yell for help. She described "uproarious laughter" by Mr Kavanaugh and his friend, whom she said was also involved in the alleged incident in a locked bedroom at a gathering of high school friends. 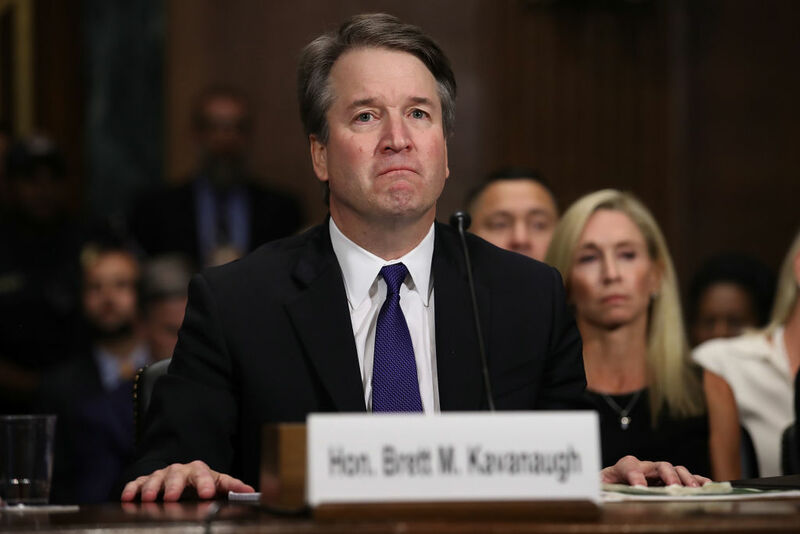 Mr Kavanaugh vowed to continue his bid to join the high court, to which US president Donald Trump nominated him in July. Now a judge on the District of Columbia Circuit Court of Appeals, Mr Kavanaugh seemed assured of confirmation until Ms Ford and several other accusers emerged in recent weeks. He has denied all the accusations. Professor Lucas added: “There were people in the hearing room in the audience wiping away tears. “There were Senators who were wiping away tears. There were people on flights who were watching as they were travelling across the US wiping away tears. “When we talk about credible here, we are talking about Dr Ford coming across as a human being who suffered a trauma.